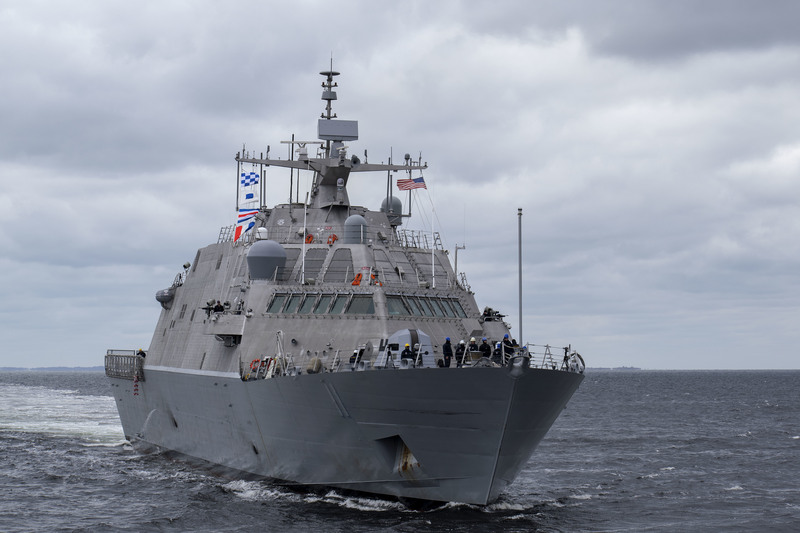 The U.S. Navy accepted delivery of the future USS Little Rock (LCS-9) during a ceremony at the Fincantieri Marinette Marine (FMM) shipyard, September 25. USS Little Rock (LCS-9) is the 11th Littoral Combat Ship (LCS) to be delivered to the U.S. Navy and the fifth of the Freedom variant to join the fleet. Delivery marks the official transfer of the ship from the shipbuilder, part of a Lockheed Martin-led team, to the U.S. Navy. It is the final milestone prior to commissioning, which is planned for December in Buffalo, New York. «Today marks a significant milestone in the life of the future USS Little Rock, an exceptional ship which will conduct operations around the globe», said Captain Mike Taylor, LCS program manager. «I look forward to seeing Little Rock join her sister ships this fall, with 100 percent of propulsion power available for unrestricted use». Captain Shawn Johnston, commander, LCS Squadron Two (COMLCSRON TWO), welcomed Little Rock to the fleet. «We are excited to welcome the future USS Little Rock to the Fleet», Johnston said. «Successful completion of this milestone is another important step to bring more LCS to the Fleet. We look forward to completing the building phase of Little Rock and moving on to the operational and deployment phases of each subsequent LCS. Our ability to operate for extended periods of time from forward operating stations will provide our Fleet commanders more flexibility and posture overseas». Several additional ships of the Freedom variant are under construction at Fincantieri Marinette Marine in Marinette, Wisconsin. 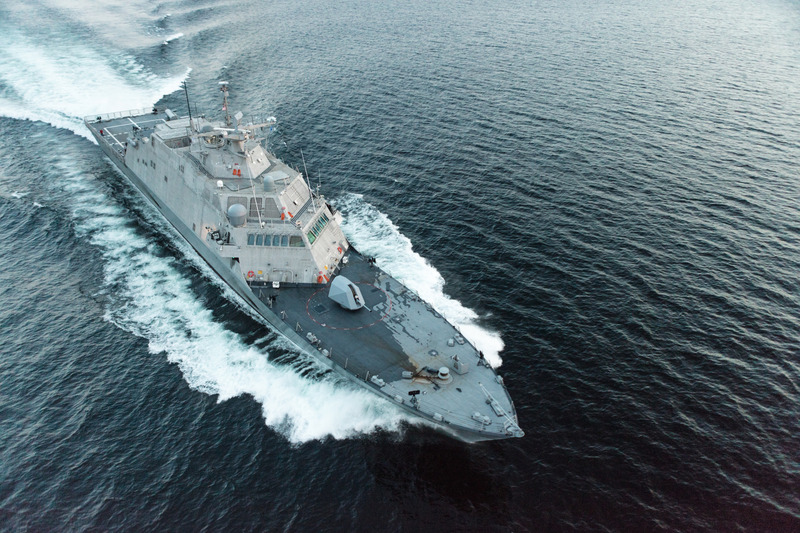 The future USS Sioux City (LCS-11) is preparing for trials later this fall. The future USS Wichita (LCS-13) was christened/launched in September 2016 and is currently conducting system testing in the Menominee River, preparing for trials in the spring of 2018. The future USS Billings (LCS-15) was christened and launched in July and is projected to commence trials in the fall of 2018. The future USS Indianapolis (LCS-17) is preparing for launch this winter while the future USS St. Louis (LCS-19)’s keel was laid earlier this spring and is undergoing construction in FMM’s erection bays. The future USS Minneapolis St. Paul (LCS-21) started fabrication in February while the future USS Cooperstown (LCS-23) started fabrication in September. The future USS Marinette (LCS-25) is in the pre-production phase, having been awarded in 2016. The LCS-class consists of the Freedom variant and Independence variant, designed and built by two industry teams. The Freedom variant team is led by Lockheed Martin (for the odd-numbered hulls, e.g. LCS-1). The Independence variant team is led by Austal USA (for LCS-6 and follow-on even-numbered hulls). 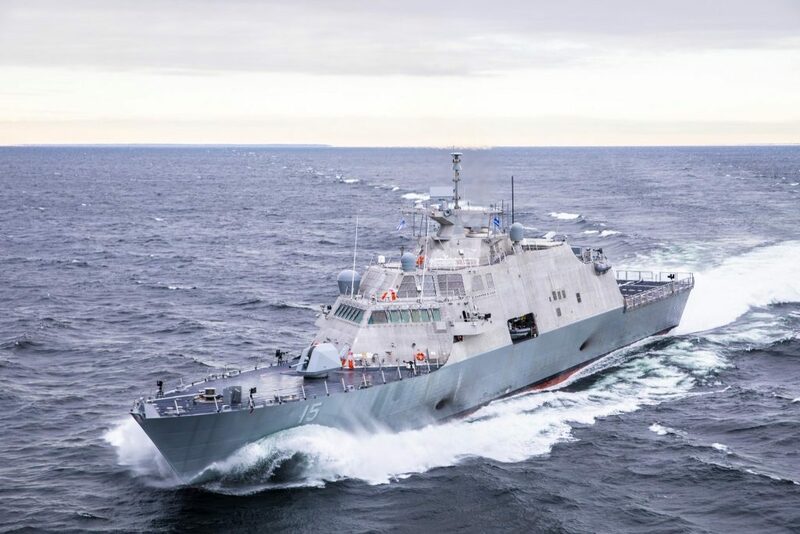 Twenty-seven LCS ships have been awarded to date: 11 have been delivered to the U.S. Navy, 13 are in various stages of construction, and three are in pre-production states.